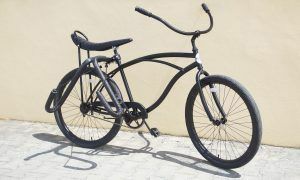 New Surf Bikes are here! 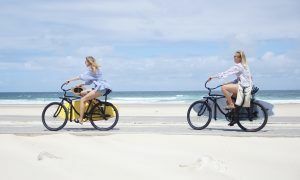 We’ve just received a batch of new surf bikes at the Lodge! 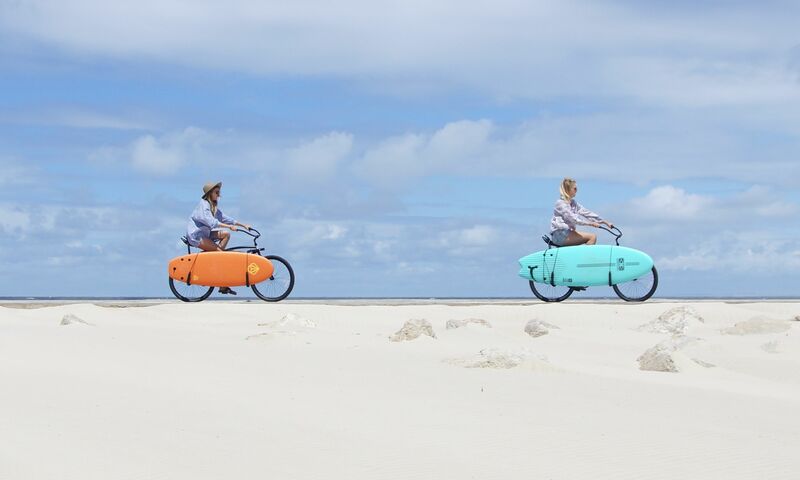 These stylish beach cruisers were made especially for us by Ronin Customs, a custom bike shop in Lisbon. 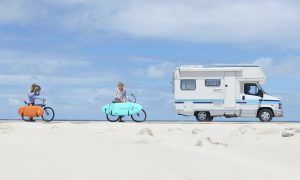 Taking a classic cruiser silhouette, and incorporating comfy banana seats and some recycled parts, Ronin has created a bike that inspires us to ride to the beach and beyond. 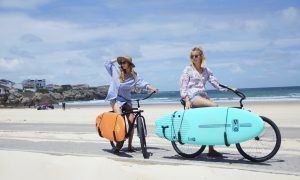 Equipped with surf racks, these bikes make it simple to go on a surf adventure around the area without a car. Just strap in your board and go! No stress about traffic or finding a parking spot. Nothing better than cruising around hunting waves, wind in your hair, board by your side. 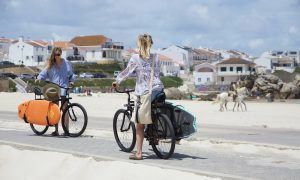 Our bikes are FREE for our guests to use during their stay. Just ask in the Reception and they’ll hook you up!